In the morning of Sunday, September 09, 2018, I had posted on a WhatsApp forum, some three legal essays, one each written separately and at different times in 2015 by FESTUS KEYAMO (SAN), SYLVESTER UDEMEZUE, and JITI OGUNYE. Each of the three legal articles was obviously written, one in response to another. 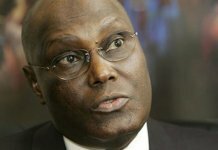 “The long-held notion in Nigeria that the President of the Federal Republic of Nigeria is under an obligation to appoint at least thirty-seven (37) Ministers into his cabinet is not correct after all – at least by a holistic appreciation of the spirit and letters of the 1999 Constitution (as amended).” (See http://theeagleonline.com.ng/constitutionally-buhari-does-not-have-to-appoint-37-ministers-by-festus-keyamo/). Mr Udemezue further argued that it was mandatory for the President to appoint at least one Minster from among indigenes of Abuja (the FCT) since section 299 of the Constitution of the Federal Republic of Nigeria (CFRN), as amended, requires that “the provisions of the Constitution shall apply to the FCT, Abuja as if it were one of the States of the Federation.” (see UDEMEZUE’s opinion: http://adviceafrica.blogspot.com/2016/07/why-nigeria-must-always-have-minimum-of.html?m=1). Then, in a separate, well-researched contribution, published on November 06, 2015, distinguished legal giant, Mr Jiti Ogunye, apparently disagreeing with Mr Udemezue’s position, insisted, inter alia, that the President was not under any constitutional obligation to appoint any indigene or Abuja as a Minister (Seehttps://opinion.premiumtimesng.com/2015/11/06/must-nigeria-have-at-least-36-ministers-in-the-government-of-the-federation-ii-by-jiti-ogunye/). This landmark judgment of the Court of Appeal is in total agreement with the earlier opinion of yours sincerely (Sylvester Udemezue) on the matter. Indeed, the lead judgment in the case completely agrees with Mr Udemezue that it is constitutionally mandatory to have appointed as a Minister at least one indigene of the FCT, Abuja. The judgment confirms also that the mandatory minimum number of Federal Ministers the Federal Republic of Nigeria must have at any time is thirty-seven (37). ALSO READ NBA2017 AGC: A Means to an End - Abdulmuhsin Abubakar Wakawa Esq. (See https://everyday.ng/2018/01/15/appeal-court-orders-buhari-to-name-minister-to-represent-abuja/) (see also https://www.pressreader.com/nigeria/the-guardian-nigeria/20180121/281767039642434). 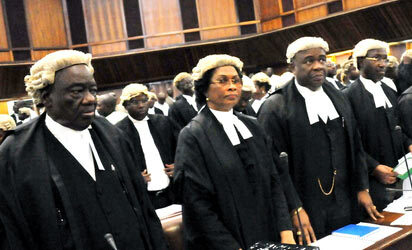 Abuja indigenes hailed the judgement and saw in it a ray of hope in their legal struggles. 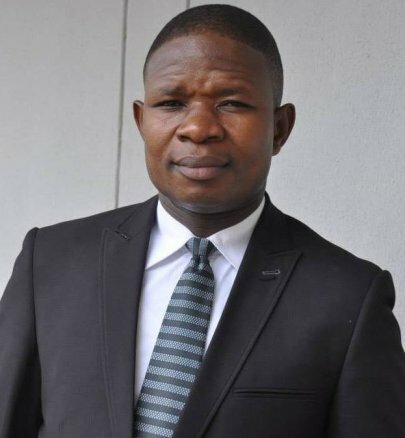 (see https://www.premiumtimesng.com/news/more-news/256024-abuja-indigenes-hail-courts-decision-ministerial-representation.html). Then on Tuesday, January 22, 2018, some indigenes of Abuja, the Federal Capital Territory (FCT), called on the Federal Government to implement the judgment of the Court of Appeal by immediately appointing at least one Minister from among FCT indigenes. Mr Kamal Shuaibu, Coordinator of the Coalition of FCT Indigenous Associations (COFCTIA) who led the Coalition on a protest march to the National Assembly of the Federal Republic of Nigerian then called on the members of National Assembly to also prevail on the Federal Government to ensure that the judgment of the Court of Appeal was immediately implemented. (See https://thepress.ng/2018/01/fct-indigenes-call-for-implementation-of-court-judgment-over-ministerial-appointment/). Thereafter, nothing was again heard about developments on the issue, not until Sunday, September 09, 2018, when the issue was brought up on Legal Practice Discourse (LPD) Forum, Discuss Nigeria Forum (DNF) and on Legal Minds, with a call on LPDites (members of the Legal Practice Discourse Forum), DNFites (members of Discourse Nigeria Forum), and Legal Minds to have a look again at the arguments earlier advanced (in 2015) on the matter by FESTUS KEYAMO, SAN, SYLVESTER UDEMEZUE and JITI OGUNYE as well as the January 2018 judgement of the Court of Appeal on the matter. And to assist the proposed discussions, all the three separate arguments from these learned friends as well as a news report on the affected Court of Appeal judgment were reproduced as earlier published. The matter was however scarcely discussed. “We Are Responsible for Abuja Earth Tremor, says Abuja indigenes.” ((see: https://leadership.ng/2018/09/10/we-are-responsible-for-abuja-earth-tremor-natives/). “Our ancestors behind Abuja earth tremor – Natives” (https://www.dailytrust.com.ng/our-ancestors-behind-abuja-earth-tremor-natives.html). ALSO READ Propriety or Otherwise of the Call for PMB's Resignation -Francis O. Akoji Esq. Are there any legal, social and security implications of the continued non-implementation of the Court of Appeal judgement on appointment of a Minister from among the FCT indigenous people? Could there really be any reasonable link between the recent Abuja earth tremor in Abuja and the controversy relating to appointment of a Minister from the FCT, as claimed by the Abuja indigenes? Put differently, to what extent (if any) could it be correct (as claimed) that the earth tremor which reportedly recently occurred in Abuja was prayer-answered for the Abuja indigenes who now claim that the tremor was in response to their long-standing prayers and invocations to their ancestors for intervention on their behalf, to bring calamity upon the FCT, with a view to compelling the powers that be to show them justice which they claim they deserve? If it true, as Abuja indigenes want us to believe, that “our ancestors have now assumed the position of enforcers of court judgements, dispensers of justice and punishers of injustice, in this instance, in behalf and on behalf of the FCT indigenes, then what responsibility or task does the Nigerian State have, and how should the Nigerian Government contribute, towards assuaging the feelings of Abuja indigenes in this respect and towards appeasing their ancestors, so as to avert any further catastrophe for the nation, especially residents of the FCT? Should we not investigate further the veracity of these claims with a view to determining if a new vista has not emerged in the area of judgment enforcement of, implementation of , and adherence to, Rule of Law, in Nigeria. If explored, and found true, could such (ancestors’ involvement) be part of a God-given or gods-driven solution to the clamour that Rule of Law must count in our private and public affairs? 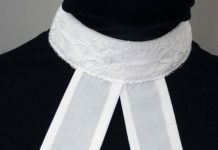 So that, as an example, if in future, Mr A obtains a judgment against Mr B and Mr B fails to obey the orders of court, Mr A could instead on relying/waiting on orthodox court enforcement agencies, invoke the spirit of his ancestors for a quicker realization of the ends of the judgment that’s in Mr A’s favour? On the other hand, to what extent does it not appear unfeeling for Abuja indigenes to have claimed that a seeming natural calamity bedevilling their fellow Nigerians was at their own instance and was indeed their own way of seeking redress for injustice allegedly being meted out against them? Would an immediate implementation of the directives of the Court of Appeal with respect to appointment of a Minister from among Abuja indigenes bring any succour to all and sundry in this wise, to put an end to the lingering controversy, which has apparently now taken a metaphysical dimension? Has the Court of Appeal not shown us the way out? In the meantime, and this needs also to be emphasized, the FCT indigenes who rejoice over (and even claim responsibility for) ordinary natural calamities that have befallen their fellow FCT residents and Nigerian citizens ought to have a re-think in their so-called prayers and supplications to the spirits of their ancestors which, to them, is a form of last resort in their bid to get what they believe is their due in the Nigerian Federation, its governance and government. The following questions are specifically for FCT indigenes to urgently consider and consult on: (a). Are the direct victims of the reported earth tremor any contributories in the injustice allegedly perpetrated against FCT indigenes, in having denied them an opportunity of having one of their own sitting as a member of the Executive Council of the Federation (ECF) to make or take executive policy decisions affecting Nigerians, including indigenes of the FCT? (b) To what extent do these FCT indigenes think that their threat to draw down on FCT residents more “unprecedented earth disturbances if between now and October, 2018, an indigene of the territory is not appointed as a minister in line with the Court of Appeal judgment” would not also adversely affect even their own people. Thank you for listening, nay, reading.